Uturunca, in Bolivia, has risen by 50cm over the past 20 year. When the ground starts to rise beneath your feet, it is time to sit up. Fishermen would be the first to notice, being unable to leave their harbours due to lack of sea. Governments would discuss the risk of reduction in tax income from fishing, and would commission research. The scientists report evidence of widespread withdrawal of the sea but their findings leave some uncertainty and they need more funding. An intergovernmental Panel of Ground Change (IPGC) is set up, and their first report, issued after 20 years, proposes that ground changes should be limited to two meters; it leads to animated and emotional discussions. 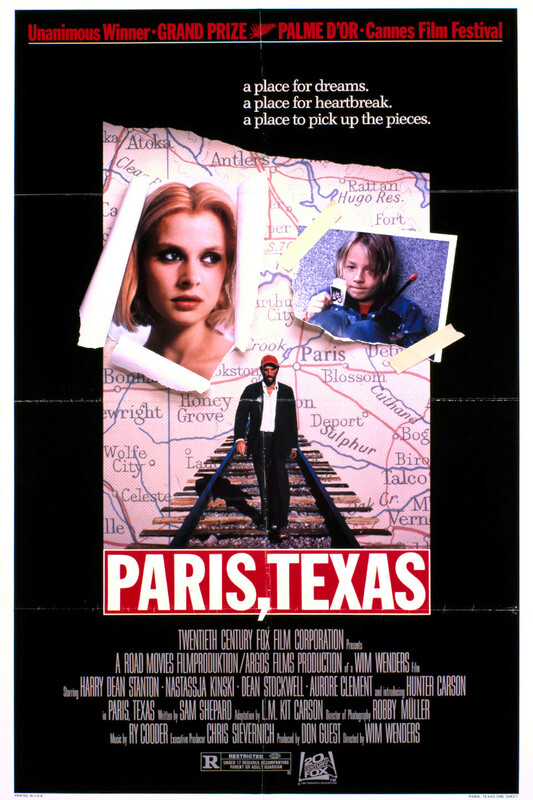 A strong rebuttal is published in the Daily Mail and Fox News which report that no change in sea level is seen in Paris, Texas, an unchanging 300 miles from the sea, and can we now stop this nonsense? The next day the Daily Mail in a lapse of memory reports that scientists have found that rising ground cures cancer. The Financial Times writes that the inflation is creating free land which can be sold for profit and save the hapless banks. The Washington Post reports that the President seems out of touch and is unaware of the danger of the ground getting too close to the Sun and burning up. The Sun runs the headlines ‘Sun saves our bacon’ and ‘The Sun has won’. The Department of Homeland Security claims that there is no evidence that the land is rising but that the sea may be going down; it demands funding to build a wall to keep out the falling sea. The Canadian government orders all scientists to cease talking about ground level change, or, preferably, stop talking altogether. The Dutch are delighted; they also renew their historical claim on England. The Solid Earth Society puts out a press release which no one reads. And in the mean time, no one wonders what is pushing up the ground. In the real world, some towns do have to cope with changing ground levels. Naples is best known for this: the submerged Roman city of Baiae, once the Panama City Beach of its days, is now a diving destination and underwater archaeological park as much as 12 meter below the sea; but nearby is evidence of clams having grown on pillars which are now 6 meter above the sea. Not many modern seaside towns could cope with those kind of ups and downs! 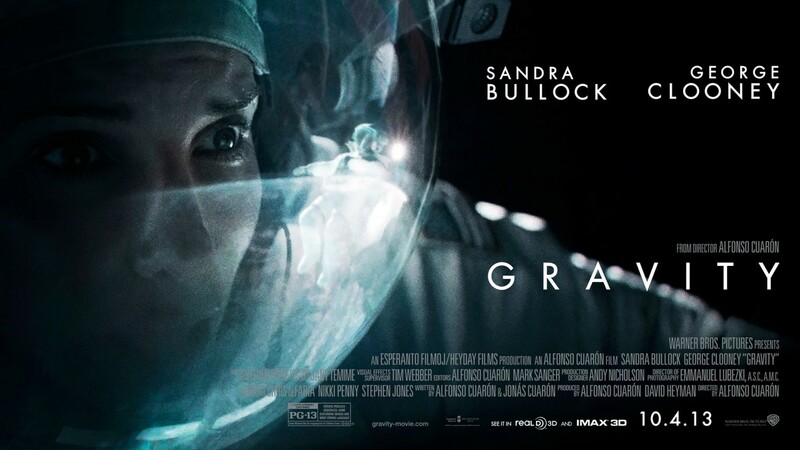 Inflating ground is a well-known precursor of volcanic activity. It may be caused by a growing magma chamber, or by circulating water; one may expect the former to lead to an eruption, and the latter to a phreatic explosion. Often such expectations are correct. Basaltic volcanoes especially inflate before erupting. But volcanoes often show inflation without a subsequent eruption. The magma may fail to reach some critical pressure, or a dyke is stopped in its tracks. And sometimes a volcano erupts without any inflationary sign. Turning inflation into a sure-sign prediction of a specific eruption date (or even eruption decade) is still beyond us. This post is about inflation and the causes of inflation, and at the end describes some volcanoes which are inflation hot spots. It is a bit longer than the average VC post – you may want to get yourself a coffee first. That shifting ground underneath you may not be volcanic. The most dramatic long-term uplift is a memory from the ice age. Rock is strong – but 2 kilometer of ice is heavy, and the rock, and especially the more fluid mantle underneath, had difficulty accommodating the weight of those enormous ice sheets that covered the frozen north. The mantle, essentially hot sand, is not as stiff as the lithosphere above it, and gives away first. The ice pushes down, and the mantle slowly moves sideways (not down: sand doesn’t compress much). As if on treacle, the ground slowly sinks, until a new equilibrium is achieved when it has gone down by a third of the thickness of the oppressive ice sheet. Indeed, parts of Antartica but also Greenland have been pushed below sea level by the immense weight of the ice. 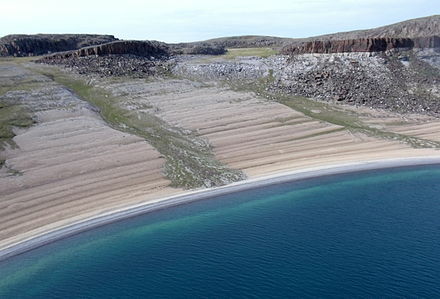 Raised beaches due to glacial rebound, in Nunavut, Canada. Once the ice sheets melt, the mantle and the ground rebound. But anything that involves the mantle is slow; it takes many thousands of years before the memory of the ice age has been completely erased. North Scandinavia is still rebounding from the last ice age, even after 10,000 year. There are ancient beaches -and harbours- now well above the water line. In Gotland, Sweden, the uplift is still about 2 mm per year. It was much faster immediately after the ice age, of course. The ground here became depressed by 300 meter, and the uplift has so far recovered 270 meter. 30 meter is still to come. On the other side of the Atlantic, the Hudson Bay is the remnant of the depression left by the Canadian ice cap. The ice cap was 2 km thick. At the centre of the ice cap, the ground was depressed by 700 meters. Much of this has been recovered, but not all. The Hudson Bay is still 270 meter deep at its deepest point; the average is around 100 meter. But getting less. Now assume that Mauna Loa has just exploded, and the explosion has removed tens of cubic kilometers of rock. (Don’t worry: this is an experiment in imagination. Mauna Loa is completely safe.) What happens to the ground below? Suddenly the weight is gone. And the lithosphere rises in response. But in practice, this is exceedingly slow. The lithosphere is stiffer than the mantle, and adjusts even slower. 10,000 year is nothing to it. If Mauna Loa were to lose 1 kilometer of its height, the recovery from the depressed ground would be no faster than 1 mm per year. So even after extreme eruptions, this can be ignored. Sudden weight loss does not change your height – at first. Still, in the end gravity always wins. Mauna Loa is destined to sink below the sea, even if it will take a few million years. It is like a slow Hollywood remake of the Sinking of the Lusitania. But in reality, large volcanoes can show quite a bit of reflation after a caldera-forming eruption. So if this is not the lithosphere re-adjusting, what is it? As always with volcanoes, it is the magma. (A good line to win any debate: “It is the magma, stupid”.) After the explosion/eruption, there is less weight pressing down on the magma reservoir. Less pressure means that the melting temperature drops a bit, and this allows more melt. The newly melted magma rises, and creates a new magma chamber underneath the caldera. It may slowly re-solidify there. The final result is a large bulge in the centre of the caldera, pushed up by this risen decompression magma; the bulge is called a resurgent dome. A good example is the huge Toba caldera. It is filled with an enormous lake, and the lake is filled with a large central island. This island is the resurgent dome. There are three resurgent calderas in the US, namely Yellowstone, Long Valley, and Valles Caldera. The resurgence can be very large. Toba resurged by well over a kilometer. But it is also rather slow (although not as slow as gravity): the resurgence may take 10,000 year or longer. After its stupendous eruption (the largest for the past million year), Toba resurged by 10 cm per year; this lasted many millennia. The Long Valley caldera. The 500-meter tall hill in the centre is the resurgent dome. Although the resurgent dome may erupt, often it doesn’t: in itself, the resurgence is an afterthought from the original explosion, and not a sign of an impending new eruption. Resurgence is comparatively safe, as volcanoes go; it takes so long that the magma has time to solidify in its new place. So when large, long-term inflation inside an old caldera is seen, it tends to be identified as a resurgent dome: this model works, can explain the observed changes, and there is no need to panic. What more could you want? But non-resurgent volcanoes also show uplift. This happens when magma is accumulating, and it is a warning sign for a potential eruption. 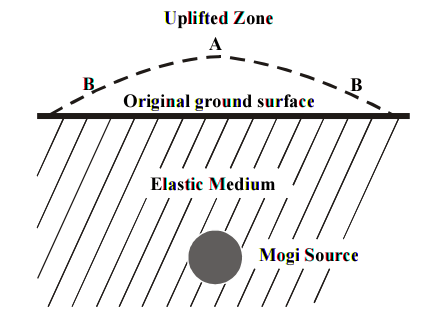 The basic model for the uplift was devised by a Japanese seismologist called Mogi, and with all the creativity of scientific language, is called the Mogi model. It assumes a spherical magma chamber, with a certain diameter and pressure, located at a depth below the surface which is much larger than its diameter. This round blob pushes up the surface over an area beyond its own diameter. The size and shape of the uplifted bulge depends on the volume of the magma chamber, the pressure, and the strength of the rock, all of which are approximately known. There are equations where you plug in the measured surface motion, in three directions, and out comes the depth and size of the magma chamber. It involves a few questionable assumptions: magma chambers are probably not round, and they may be closer to the surface than the equation wants, but in the right circumstances the model has worked well enough. (Rumour has it that the mathematics of horse racing, developed for the gambling industry, began with the sentence ‘Let’s assume a spherical horse..’) (Mogi himself wrote It is the writer’s opinion that the assumed spherical origin seems to harmonize well with the idea of the magma reservoir under the earth’s surface.) There is however an obvious problem. It begs the question how did the new magma get there? Magic? Did Scotty beam it down (or up)? Or did it achieve reality as an ‘alternative fact’? None of this seems quite compatible with physics, geology, or even volcanology. Either the magma migrated from elsewhere, or it formed in situ from newly melted rock. If it migrated, the observed inflation will be compensated by deflation somewhere else. New melt will often start with an impulse of heat from below, perhaps carried up by magma rising from the deep. The heat seeps into the existing magma chamber, and causes more rock to melt, enlarging the chamber or increasing the melt fraction. Magma has a lower density than the rock it forms from: the magma expands. It is the pressure from this expansion that causes the rock above to rise, to accommodate the increased volume. At the same time the growing magma flows upward through any cracks in the rock it finds, carrying the heat with it. The speed of the rise depends on the size of the cracks. For a typical size of 2 mm, the ‘speed’ is somewhere around 1 meter per year. It beats continental drift, but not much else. Enlarge the cracks or break the rock with a well-timed earthquake, and it can go much faster. As the magma rises, the inflation becomes more focussed on the area directly above the chamber. Whilst it was deeper, it pushed up a larger area. This gives the funny effect that as the magma rises, some distance away the inflation turns to deflation, while in the centre it increases. Think sombrero. The new heat can also affect any water inside the volcano. Hot water can circulate much faster than magma, and this can therefore cause fast inflation when the water enters new areas. Large, intermittent variations inside a caldera are often due to circulating hot water. Gases should also not be ignored: underground volatiles can add tremendous pressure. An earthquake may rupture an underground layer or rock, allowing gas underneath to escape, and cause sudden deflation. Or shake the magma, allow volatiles to come out, and up goes the mountain. In volcanoes, nothing is simple. So there are at least three ways a volcano can inflate: resurgence, a magma/heat pulse (with or without volatiles), or hydrothermal circulation. How can you tell which one is happening in your favourite volcano? That is not so easy! The only reliable way to see underground is to wait for an eruption and analyse what comes out: new magma, recycled and reheated magma, gas, and/or water. Obviously, that only works if there is an eruption. Non-erupting volcanoes are the bane of volcanology. Let’s look at some real-world examples inflation, a round-up of the usual suspects. Nowadays, measuring inflation is fairly easy, using GPS or radar. But those only go back a few decades. How do you determine inflation which predates GPS? Actually, just as in glacial rebound: it is best seen at the coast, from historic water lines, like the dirt rims in an empty bath tub. The known cases of prehistoric inflation are indeed all at sea (or at least at water). 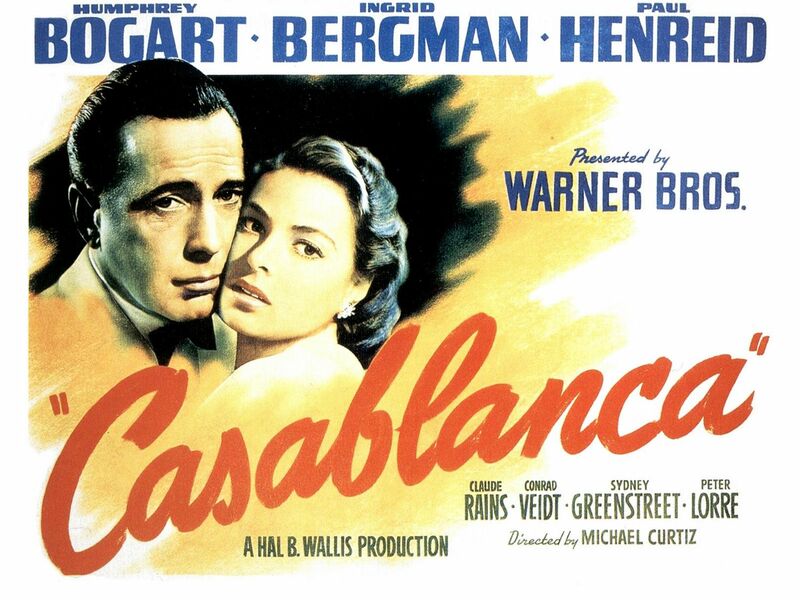 The following are the best known, and largest, cases. At the southern end of the 1200 km long Vanuatu volcanic arc lies Tanna Island, a land of rain forests, beautiful beaches, and coffee plantations – my kind of paradise. Lonely Planet calls it ‘an extraordinary place‘ with ‘the world’s most accessible active volcano‘. The volcano in question is Yasur, an 800-year old dome which is indeed the most active volcano in Vanuatu – and that says something. It is located inside a 2-km wide caldera. An eruption some 20,000 year ago (not well dated) formed the much larger Siwi caldera; Yasur lies on the rim of this caldera. Within the ancient caldera is the Yenkahe block, 6 by 3 kilometer, and 250 meter high. The block contains a series of coral terraces, all well above the sea level. Coral does not form on dry land, or even in the wetness of a rain forest: clearly much of this block was once below the sea, and it came up step-wise. The dates of the terraces show that the area has been rising for a period of 1000 year or more, at a rate of 16 cm per year, by more than 150 meter overall. The inflation rate is the second largest known in the world over such a long period. Naturally, this being inside a caldera, it is called a resurgent dome. But it wasn’t a massive caldera eruption (1-2 km3), and it is an area of very active volcanism – there is plenty of new magma sloshing around. 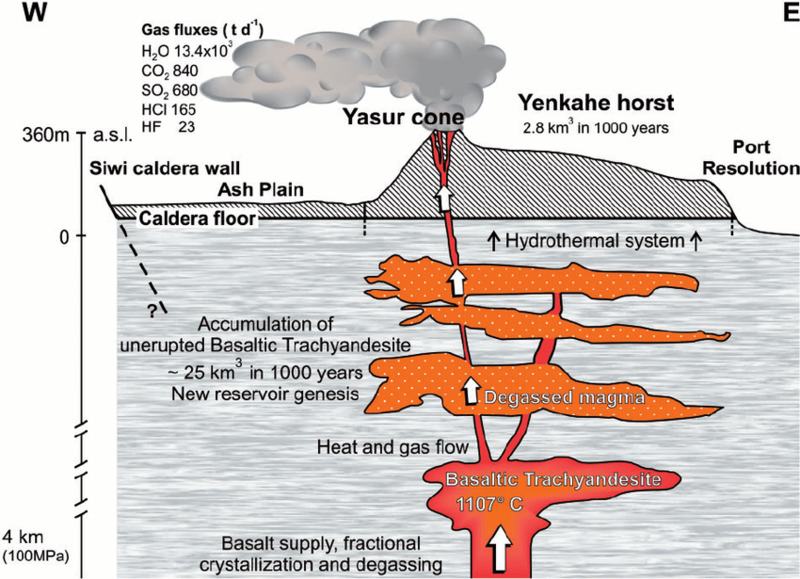 It has been proposed that the magma chamber underneath Yasur may be migrating east, pushing up Yenkahe in the process. There are no obvious signs of an impending eruption. In fact, nearby Yasur provides a safety valve, and this would limit the pressure which can build up. But there is another danger. The area is prone to landslides, and the continuing uplift can destabilize the slope. There is a risk that a large landslide would enter the sea, and the resulting tsunami, modeled as up to 4-5 meter high, would put some of the tourist areas at risk. 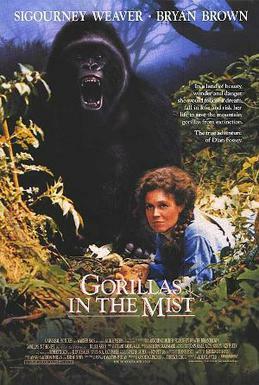 The dense rain forest makes it difficult to assess the risk of this. This is the most extreme, but also least understood, currently on-going long-term uplift. The island, 4 by 8 km long, is famous as a war shrine. In the US, it will always be known as Iwo Jima, but in Japan, an older name (with the same spelling) has been re-instated: Iwo To. The different names call out a common heritage, a memory to be kept alive in order to prevent a future madness. Painful memories have turned into a common purpose, and made friends out of sworn enemies of the past. But there is also a volcanic heritage here: there is much more island now than there used to be. Iwo Jima is coming up at an average rate of 25 cm per year, and appears to have done this for at least 1000 year. The island is covered in old beaches, now far above the water line. Some of the old beach lines are bent, indicating that inflation was not always uniform across the coast, but every part of the island has seen some uplift. One of the beach lines dates from the time when Iwo Jima was discovered, in 1779. This is now 50 meter above the sea. A beach 100 meter high is carbon-dated to 750 year BP. The average long-term uplift is about 15 cm per year. But the rate does fluctuate. Between 1779 and 1887 the uplift was significantly less than 10 meter and possibly zero, and a carbon-dated beach 1350 year old seems not much higher than the one at 750 meter. Over time the uplift seems to have accelerated, based on the rate of 25 cm per year since 1952. Between 2006 and 2012 there was an episode with an uplift of 3 meter; we do not know whether such an episode is unusual. The rate and duration have lead to the suggestion that Iwo Jima is the perfect example of a resurgent dome. However, this is not universally accepted, and Newhall & Dzurisin in a US Geological Bulletin of 1988 write An important and unanswered question is whether the historical uplift is rebound since the last caldera-forming eruption, or rather a precursory signal of another caldera-forming eruption to come. 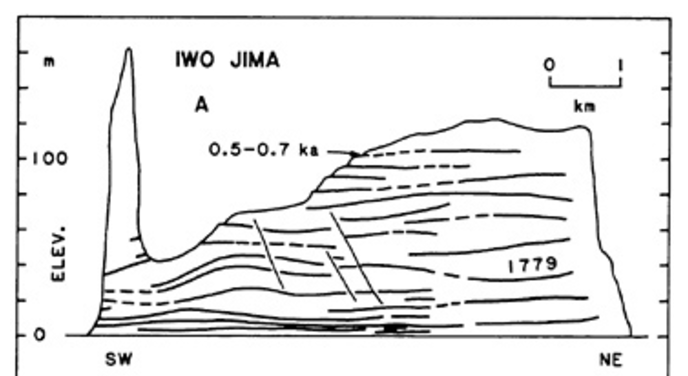 The literature mentions that Iwo Jima sits inside a 9-km caldera. This comes from a bathymetric map published in 1983. This map and two profiles are reproduced here. It shows that Iwo Jima is part of a flat-topped area, 9 kilometer wide, beyond which the mountain drops steeply down, but there is not much evidence of a clear caldera ring. One profile shows two symmetric bumps, 9 kilometer apart, but profiles in other directions do not. If there is no clear caldera, the case for post-caldera resurgence is not strong. The flat top can also have formed through wave erosion. Even if there is a caldera, we still don’t know what is going on. The uplift affects more than just the main island. The small island just to the northwest is also growing. We don’t know what happens under the sea but the entire top of the undersea mountain may be coming up. You’re gonna need a bigger boat. Is Iwo Jima the most dangerous volcano in the world? Perhaps it is. This Chilean lake is a relief in a thirsty semi-desert. The landscape is a geological treasure, but not a touristic highlight. It still made world news, when the southern shore was found to have been uplifted by 1.5 meter in 8 years, from 2007 to 2014. This was attributed to 0.02km3 of new magma. A deeper look found that this uplift had been going on for a long time. The image shows the lake. Above the shore, several horizontal layers can be seen. These are the bath tub rims, the old lake levels. The lake side has been pushed up; the uplift amounts to 75 meter over 10,000 year. During this time, 4km3 of magma has been added to the magma chamber. The magma supply rate is not excessive, but the fact that it has been going on for so long shows how stable the imbalance is. The lake bed is about 22 by 27 km, but the uplift is focussed underneath part of the lake, not its entirety. There have been 36 eruptions here during the past 20,000 year – once every 600 year. The largest of these eruptions, 23,000 year ago, ejected 20 km3 of ash, amounting to a few km3 of rock. This puts the magma supply rate in context: it has by now recovered the loss from that eruption. Laguna del Maule has not erupted since the Spanish arrived, 450 year ago. It seems a strong candidate for an eruption, even if fairly minor, in the next few centuries. You read it here first. Socorro is perhaps not the liveliest place in the world. The main excitement is floating down the Rio Grande on a tube, looking at the big ‘M’ painted on the local hill, or watching the sandhill cranes and roadrunners in the Bosque del Apache. To the east is the site of the first nuclear explosion in the world, an attraction perhaps best avoided (it is open to the public for two days each year), and a town to the south is called Truth or Consequences, reportedly the only town in the world named after a TV show. 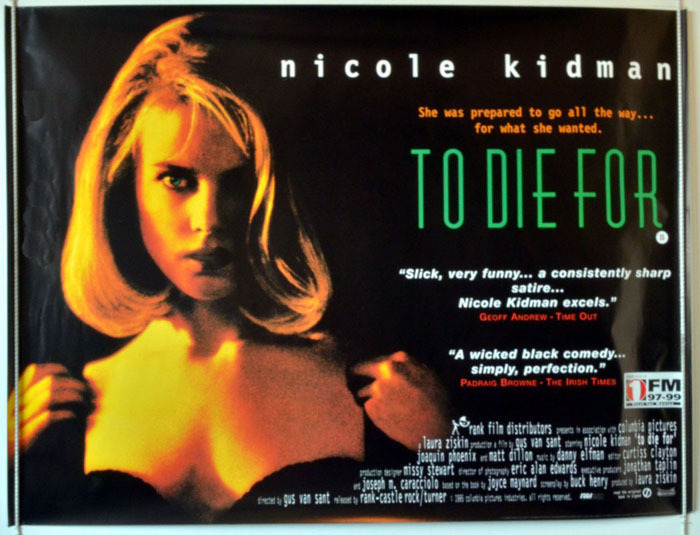 With the American penchant for shortening names, it quickly became ‘T or C’. Still, Socorro grows on you. And the locals appreciate visitors, as I found out during a hike, when sitting down for lunch. Immediately three vultures started circling above us, visibly thinking: “They stopped moving! Lunch!”. Socorro also grows underneath you. The excitement is all underground. The area shows slow inflation, at 1.5 mm per year, which is caused by a magma sill 19 km deep and 150 meter thick. The sill may be the largest magma chamber in the US, with a length of 60 km stretching along the Rio Grande rift valley. The volume is between 100 and 1000 km3. The enlargement of the magma body has caused earthquakes, with a swarm between 1999 and 2004, but also a M5.8 in 1906. The inflation has been going on since at least 1911, but the magma intrusion itself has an estimated age of 1400 year. (Albuquerque, to the north, is subsiding, but this is attributed to over-extraction of ground water.) The area is littered with volcanic cones, a sign of things to come. But in Socorro, nothing happens fast. It takes its time. Still, we’re not in Kansas anymore. New Zealand is volcanically hyperactive. The source of its problem is the Taupo Volcanic Zone on North Island, terminating in what is appropriately called the Bay of Plenty. Based on its history, this is the area (relative to its size) most likely to host the Earth’s next problematic eruption. But detailed monitoring has shown that the entire area is deflating, due to cooling of magma. The entire area? No. One region, away from the known volcanoes, and discovered only last year, shows inflation. It is just on the coast or perhaps centred in the Bay of Plenty. The uplift is at a rate of 0.5-1 cm per year, over an area of close to 300 km2. The required magma supply rate is around 0.01 km3 per year. Geological evidence indicates that this has been going on for at least 1700 years! Just when you think New Zealand is safe, it isn’t. You can’t trust sheep. The ones above are long-lasting uplifts, but where eruptions do not seem particularly imminent. Ground level measurements have revealed other cases, not as long lasting, but increasing the chance of an eruption. Here are some. This list is certainly not complete! The area of inflation is just west of South Sister, which is one of the three sisters in Central Oregon. The inflation began in 1996; it is caused by a growing magma chamber 5-7 km underground. Measurements from the European Space Agency (don’t tell the new administration – they might ban these immigrant data) shows that it started at a restrained 1 cm per year in 1996, and quadrupled after 1998. From 2004 the uplift has slowed but not ceased; the total uplift has been 25 cm. The magma volume responsible for the uplift amounts to 0.06 km3. Eruptions here are relatively infrequent, with the last one 1200 year ago. The inflation is centered several kilometers from South Sister – there is no volcano directly above it. Either the magma will find a sideways outlet, or a new cone will form once the magma decides to come up. A younger Sister to join the family. 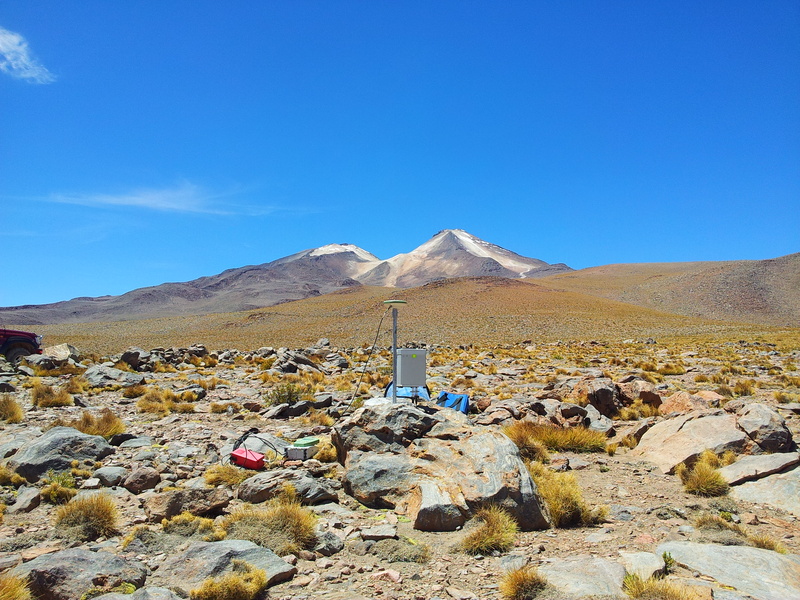 Monitoring in the Altiplano began in 1980. It quickly revealed a lurking danger. One of the volcanoes, double-peaked Uturuncu, was growing at a rate of 1-1.5 cm per year, starting in the early 1990’s. That is not that much for what is now an (almost exactly) 6km tall volcano (at that rate it would have taken half a million year to get to its current size, which is not unreasonable), and it is a well-behaved volcano which has not erupted for 300,000 year and shows no sign of impending doom apart from a sickening sulphur smell. (Until recently there was an active sulphur mine on the mountain.) Still, something is going on. The inflation is remarkably stable, and although there is some microseismicity, there are no major earthquakes. Perhaps a ductile layer is allowing the magma chamber to quietly expand without building up large stress. The magma chamber is 15 km deep, and may be as much as 100 km wide which would make it the largest magma body in the world. The uplift is centred just southeast of the peak. The region of uplift is surrounded by a ring of deflation: this means that the magma is rising – slowly, but notably. When it reaches the surface, perhaps in another 1,000 year, things could get very interesting. Watch this space. Uturuncu tends not to do explosive eruptions. It seems that magma usually stalls at shallow depths, and has time to exhale its volatiles, before deciding to erupt. 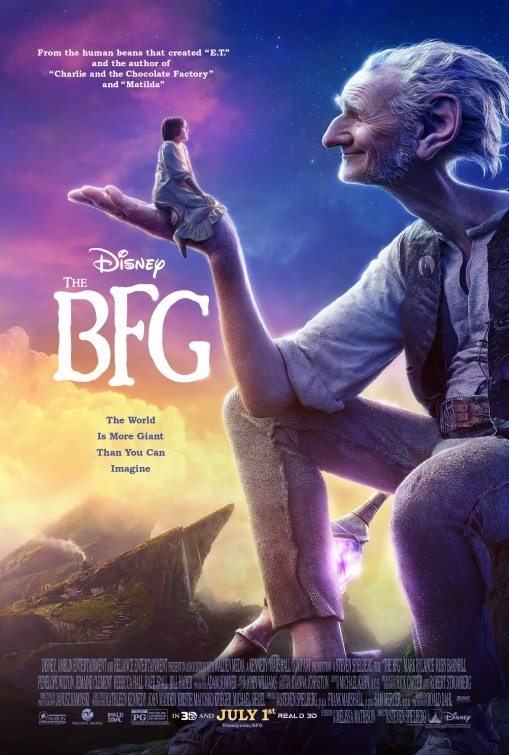 A big friendly giant. To VC readers, this will be a familiar name: Henrik wrote his magnificent post on this, one of the most dangerous volcanoes in the world. Campi Flegrei is where the phenomenon of the ground moving up and down was discovered. The entrance to the in-land harbour, Portus Julios, is now 12 meter below the sea, which shows the local deflation over 2000 years, although this deflation did not happen the same everywhere. But what goes down can come up. All eruptions here are preceded by rapid uplift. Before the 3700 BP eruption phase (which lasted 900 year), there was 40 meter of uplift. We don’t precisely know when the post-Roman deflation began. It was long lasting but not uninterrupted. In 1502, the astonished locals noticed that the sea was receding. This motion continued for over 30 years, and in 1534 the first earthquakes began. In 1538, during one week the ground came up by 6 meters, a rate reminiscent of magic beans. 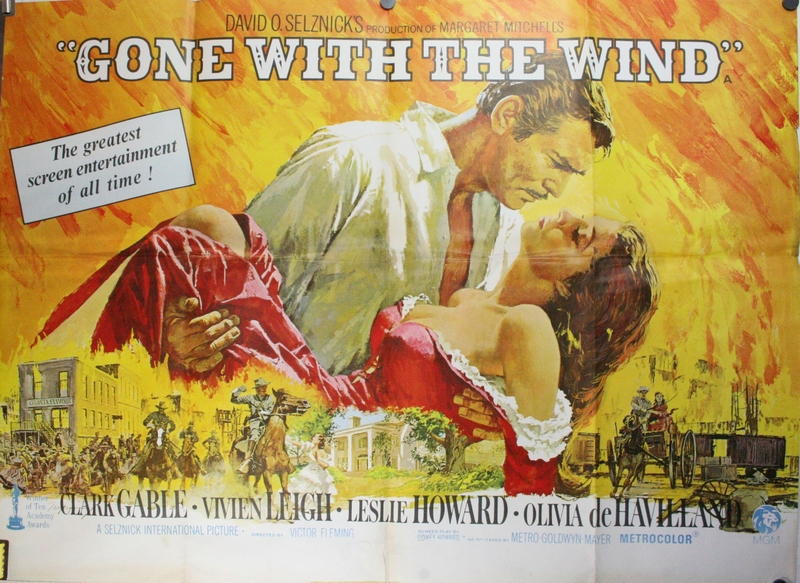 The rise was uncontainable and an eruption followed, building the Monte Nuovo (new mountain). One week later, when the eruption ended, this new mountain was over 100 meter tall. Somewhat ironic, the mountain grew in the middle of what had been the main lake of Portus Julios’s inland harbour. But what comes up must go down and renewed subsidence followed the eruption. Between 1820 and 1968 the sea shore subsided at 1.5 cm per year. There was a brief reversal in the 1950’s. In 1968, the reversal came back with a vengeance; 1 meter of uplift had happened by 1970. Between 1982 and 1984 a further 2 meter of uplift occurred. Slow inflation returned in 2005, accelerating in 2012 to 8 cm per year. This is not dramatic by Campi Flegrei standards, enough to be noticed but nothing to raise alarm bells. Up-and-down movements by several meters are common in large calderas; it can caused by underground water moving around. Yellowstone in particular is known for this. But now, there may be more going on. Fumarole temperatures are rising, and new gas vents are opening in the burning fields. There is more heat underground. A paper a few months ago, by Chiodini and collaborators, reported that the pressure is increasing, on a trajectory that would make an eruption possible by 2020. They point out strong similarities to the pre-eruption phases of Rabaul and Sierra Negra (Galapagos), with similar accelerating inflation over years to a decade prior to the eruption. This prediction won’t worry the locals who have too much in common with Californians. Here, tomorrow is another day. Vedi Napoli e poi muori. A city to die for. There are too many volcanoes to list them all! In 2012, a radar study by Estelle Chausard and Falk Amelung measured ground elevation across the entire West Sunda Arc, Indonesia, between 2006 and 2012, an heroic effort. In this region (Java and Sumatra) six volcanoes showed significant inflation, with magma accumulating at 1-3 km depth. Three of these subsequently erupted. The six were Sinabung, Kerinci, Slamet (these three erupted within 2 years after), Lawu, Lamongan, Agung. Anak Krakatau showed deflation, related to a number of eruptions. In all cases, the inflation was around 10 cm. The inflation was centred on the summits, apart from Lamongan where it arose north of the summit: this is also the only case where the uplift happened in one fast episode, rather than continuously. Interestingly, one could say sneakingly, Merapi showed no inflation, but still erupted afterwards. This overactive Japanese volcano on the southern rim of Aira caldera is a strong case study of a link between inflation and eruption. There were significant eruptions in 1914 (1.5 km3) and 1779. The 1914 event was preceded by strong inflation of the caldera. The eruption caused subsidence, but inflation restarted and the volcano is again at roughly the level it was before the earlier eruption. The inflation was at a rate of 1.5cm per year from 1996 to 2007. The magma inflow rate is estimated at 0.01 km3 per year, filling up a 10-km deep chamber. Modeling shows that the current activity of Sakurajima is not keeping up with the inflow: the volcano is charging up. The same model predicts 130 years between eruptions, which does fit the previous events well (scientists generally prefer to predict the past: Niels Bohr warned that “Prediction is very difficult, especially about the future.” Einstein had similar doubts: “I never think of the future. It comes soon enough.”) The inflating reservoir is not located underneath Sakurajima, but within the northeast part of the caldera. But there is clearly a good connection between this reservoir and Sakurajima. Predicting the future (un-Bohr-like and un-wise), a significant eruption can be expected by 2044. And that’s all I have to say about that. InSAR data from the European Space Agency has shown inflation of 10 cm in Longonot between 2004 and 2006, and 20 cm in Paka in 2006 and 2007, both in Kenya. Paka, in the Kenyan rift valley, is a shield volcano with several small craters and cones. The last major eruption (VEI4) was over 7000 year ago but some of the cones may only be a few hundred years old. The recent uplift was preceded by similar uplift nearby, which subsequently reversed: magma flowed into the volcano sideways. Longonot, 60 kilometer from Nairobi, is more impressive. It has a 10-kilometer wide caldera, 21,000 year old, in which a new summit has grown with its own 2-kilometer crater. It may have been active as recent as the 1860’s. In both cases the uplift ceased and has so far not restarted. The 2-5 kilometer-deep magma chambers are clearly still active, and an eruption may be possible but we do not know what the chances are. African volcanoes are not well-monitored: we will need much more such data just to know which ones need a warning system. They are volcanoes in the mist. Volcanoes inflate for all kind of reasons, and inflation does not necessarily equate to danger. Large calderas commonly show ups and downs, largely driven by water circulation, and not related to an eruption. There is little need to be worried about Yellowstone (neither does it show anything which would warrant its inclusion in this post.) But inflation can be an eruption precursor, a warning sign that should not be ignored, hoping that if you do nothing for long enough, it will go away. It is part of the puzzle of volcanoes: if the inflationary piece fits with other pieces that indicate increasing activity, it may be time to update the tourist accommodation and dust off the emergency plans. Up – and away. Terrific article – I can’t imagine how long it took to write this. Brilliant article and a very good fore-article for my two of my next 3 articles. I will keep quiet about what the two are since it will have a bit of an impact I think. And the flipping Iwo Jima image gave even me pause for thought. Did you notice that one reef has gone away next to the small islet? Wonder if it blew up? Maybe we are not looking at the same thing, but to me it looks like a small cloud to the southwest? Sorry. Was supposed to be a reply to your comment about the reef by the islet. Do you mean the feature to the southwest of the smaller Iwo Jima island? Yes, I did think it was either a cloud or some fluff floating in the water. But there is nothing similar in the image which makes it difficult to know what it is. Google Earth has more images, taken at various epochs. They show that this side of Iwo Jima tend to be much cloudier, so that suggest this is indeed a small cloud. Could very well be a cloud. On the other hand things tend to go boom there in hydrothermal explosions on a regular basis. And if it is not hydrothermal the old battleship grenades become cooked and explode. Vulcanic explosions with a twist. The funky bit was that fractional scaling didn’t want to work for me. In one attempt I threw the small island several km to one side. For whatever it’s worth, the listed volcanoes are only the known volcanoes that have been inflating either in the short term or the long term. I would imagine there are many more around the world that we do not know the inflation details on both past or present. GPS makes it easy to monitor volcanoes, but that is only relevant if active GPS is actually measuring them, and studies have been performed on those volcanoes. Brilliant article however. I may do some writing of my own related to this. True. Nowadays we have INSAR satellite measurements which make it difficult for volcanoes to hide. But that is recent. Chances are, if Mount Elbruz had been inflating for the past century, we wouldn’t know. Water-side volcanoes are easier but most aren’t. 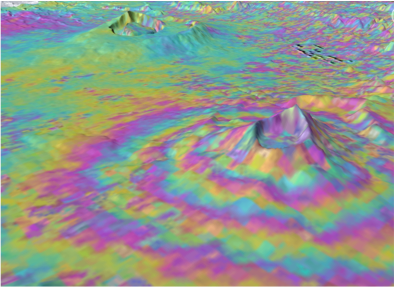 Is insar something that is regularly done on volcanoes? I know there have been occasional papers and reports, but I wouldn’t know if it’s something volcano observatories are constantly monitoring that doesn’t get released to the public. It is worldwide nowadays. But the data is hard to work with. There are rumours that later this year ESA will launch a service where the Sentinel I INSAR data can be obtained ready-made for your purpose and area but at the moment there is a lot of software you need to run yourself. That makes sense. I have to imagine like most things, it’s only a matter of time until this is made into a more web-friendly format in which the data can be automated and posted online somewhere. That may be down the road and funding-dependent, but seems like it would be great for information for other people. Once again, fascinating reading and a wealth of information! 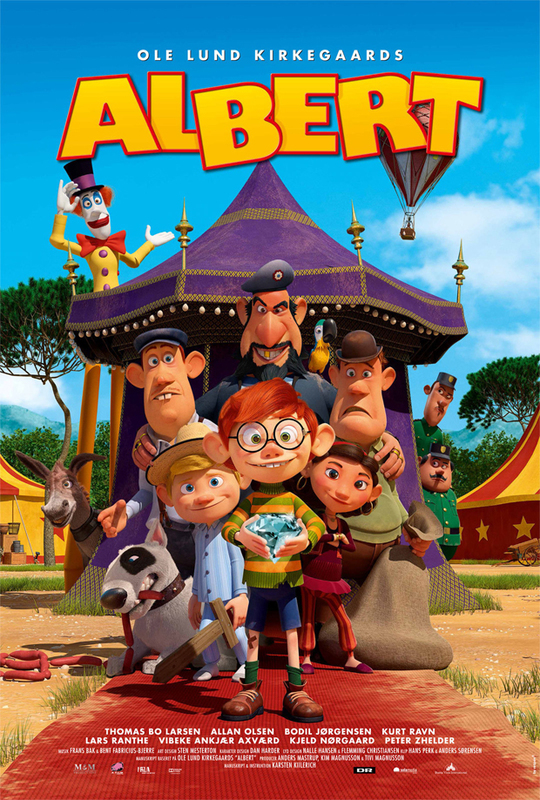 Thank you Albert! But it will take some time, because I am not nearly as versatile at writing articles/posts, not to mention the very subject, so it takes a lot of fact checking along the way. Great article! I wonder if the current apparent blockage at Sakurajima will directly lead to a Plinian eruption. On another note, Anak Krakatau has started a new eruption. A very interesting article that I enjoyed reading! Thank you very much! I too wonder about the inflation rates of all the unmonitored volcanoes. There is a prize for the person who spots them all. Just kidding. I wrote a post related to this related to shallow vs. deep inflation. Definitely not quite as in-depth or well sourced as this article, but hopefully it brings to light something that can be observed for future activity. Bookmarked your site! It is on my daily reading list now. Thanks, definitely won’t be updating it daily (don’t have the time for that), but hope to have an occasional article out. Hey, this is a very nice read. The assimilation point is something I am considering for Katla actually, together with a regular inflation signal, and the point that it may already be inflated to a certain state, but we just dont know since there are no historic records long enough, since it is already almost 100 years since the last eruption. Graphic from IMO: Green arrows are 2014-2016. We can see that in 2011, Katla began deforming beyond the normal seasonal point. It is also the same time that the anomaly began appearing that I showed yesterday (late 2011-2016) and when the stronger dike intrusions happened. Uturuncu is the white circle. “We suggest the large volume (∼500,000 km3) LVZ is an amalgamated plutonic complex. We calculate a well constrained plutonic to volcanic ratio (∼20–35) for the APVC. This thing really is huge. The cross sections are directly across Uturuncu, with Uturuncu being in the middle center. Larger quakes in the present swarm are M 2.5, 3.6, 3.8, and 2.6. A really good article, Albert. I was hoping Taal was going to be mentioned among these, but I know it takes a lot of time and there’s so many of them to write about. Taal could have been included but other VC writers know much more about it than I do! It would be hard to improve on Henrik’s post on it. I agree. Henrik’s post on Taal is one of my top favorites. Does glacial rebound, originating from melting Ice Age’s ice, also cause magma generation by mantle decompression? If true, that would mean that Norway, Sweden, Canada would be susceptible for volcanic activity. In Iceland this happened right after the Ice age, for some 3000 years. Theistareykjabunga had its large shield lava flood eruption in 9500 BC, Hengill had its largest lava flood in 8300 BC, Langjokull in 8600 BC, 7500 BC and 6000 BC (major lava shields), Grimsvotn had a massive 30km3+ eruption in 8200 BC (and a lava flood circa 4500 BC), Bardarbunga in 7100 BC and 6600 BC (major lava floods, the largest in the Holocene). Hekla had major eruptions in 6000 BC and 5000 BC, Katla in 10.000 BC (very large explosive eruption) and 5500 BC (lava flood). Holocene thermal maximum occurred around 5000-3000 BC, at this time, Iceland reached its lowest ice extent, and during that period, I don´t find more large volcanic eruptions in Iceland! After this, ice extent in Iceland increased. The most recent warm period occurred around 800-1300. During this (the Medieval warm period), several large lava floods occurred again (Veidivotn, Edlgjá, Langjokull). It might be that further deglaciation triggered new large eruptions, curiously all at the edge of the ice caps. If this pattern holds, then we should see large eruptions happening again in the next centuries, due to climate warming. Crater lake in US erupted in 6000 BC. But I am not sure what else happened in the Northern hemisphere…. I think that also in the Eifel region in southwest Germany volcanic eruptions occurred after the ice melted, caused by magma generation by decompression of the mantle below. Think about the Laacher See eruption. I thought those volcanic regions in Spain up through southern Germany were due to crustal extension rather than isostatic rebound? Isostatic rebound can enhance magma generation in areas which are already subjected to magma generation by crustal extension, mantle plumes, etc. I completely agree, however, the south of Britain is sinking whilst the north is rising following the weight loss from the ice sheet. Following that logic makes me think that locations in southern/central Europe would not have any measurable crustal adjustment from the loss of the ice sheet and if they did it would be in the opposite direction to that which produces decompression melt. Just a thought: the last ice sheet did not make it as far south as the south of England. I know, that’s why it’s sinking – seesaw action. Maybe I didn’t make that clear. My logic was based on the fact that if southern Britain was sinking due to not having an ice sheet bearing down on it then the same action applies to southern Europe. No rebound therefore no decompression melt. Irpsit is right that the ice melt triggered major eruptions in Iceland. Not in non-volcanic regions: the crust in Scandinavia, and eastern Canada, is far too cold for magma formation. I would expect significant eruptions in the volcanic zone of Antarctica once the ice cover goes. By that time we will have other things to worry about though. Deglaciation triggered more eruptions in Iceland, but something to keep in mind is that the advent of deglaciation has actually been associated with less violent eruptions in other places in the world. Specifically in Kamchatka, the region of the world that has had the most caldera eruptions in geologically recent time, eruptions were more sparse, but larger when glaciers covered the volcanoes. This is attributed largely to increased pressure on the volcanoes, which essentially makes their roof stronger. The stronger roof allows more pressure and magma to build up in the volcanoes, resulting in fewer, but larger eruptions. Based on an intro I read by Sparks, this will probably play a big role in when “Now” actually is. It’s a generalized sigmoid function. As stresses reach a certain point, the entire system cascades across the inflection point and things get interesting really fast. The difficulty, is that there are probably a lot of these functions at play among various controlling mechanisms and the end result is essentially a product of how they all interact. In his intro, Sparks used it to describe the bubble nucleation process in a collection of gas rich magma waiting to erupt. Once the phenomena reaches a certain point, the whole shebang starts to nucleate. You can get a good mental image of this with a bottle of shaken soda. As you try to slowly release the pressure, eventually you will get to a point where the whole bottle degasses at once and you get a mess. Ya see, each bubble can become the nucleation point for additional bubbles to form. That’s how the Mentos thing works. Methos provides a massive number of nucleation points so if there is gas ready to exsolve, it does so quite fase. Question about resurgent domes. Won’t lower pressure cause melted rock to solidify? Like ice skates melt ice over the blade but then it reforms after the pressure is lowered again, when the blade is no longer on the ice. Also don’t mean to nit pick, there are some subject verb agreement issues in the article in a few places. One would say 10000 ‘years’ vs. 10000 ‘year’. Not a big deal, I love the articles, I wouldn’t want people to stop writing them, especially if English is not their native tongue. Actually, I should say noun plurality issues. Apparently, I’m not so good at English either. I’ve only been studying it 45 years. Not nearly enough time. It’s probably going to wind up being a “shock melting ” phenomena related to how water behaves as it crosses above and below its crystallization temperature. ‘year’ versus ‘years’: either is allowed in english. Units are not normally pluralized but ‘year’ and other time units are special as they are recognized english words which have a meaning separate from the numerical value. Mixing year and years is perhaps not ideal but there is a limit to the amount of time one can spend on proofreading a post! Rock has a melting temperature that increases with pressure, by roughly 120 Kelvin per GPa. That is why the mantle is solid, even though it is much hotter than the crust. Most materials are like rock in that respect. Water is different: its melting temperature decreases with increasing pressure. It has to do with the density: water is special because when it freezes, it expands. Most materials get smaller when they freeze. So imagine that you put ice under pressure: it will tend to melt because in that form it requires less space. If you put rock under pressure, it can’t melt because it would require more space, going against the pressure that is being applied. Water is s strange substance. If you have a choice, go with Albert’s explanation. He’s better at it than I am. Cool, I learned something today, or relearned perhaps. I should have known that water was special, since I remember learning that ice was unusual in that it freezes on the surface and not from the bottom up, like one would expect. Likewise, English is special. One usually has to wait half a ‘year’ to see water freeze or 0.5 ‘years’. The difference being that in the first sense you’re speaking about half of ‘one’ thing and the other you’re speaking about half of ‘all’ the ‘things’. If it’s all of something it’s plural… 10000 of something, when speaking means 10000 things, but of you speak of a 10000 foot mountain, you’re only talking about one of them, not every 10000 foot mountain, then you would say every mountain at 10000 feet or higher etc. and so on. Maybe not the best example, but the logic holds. Uturuncu is clearly the best candidate for next supervolcano eruption (VEI8). Most likely it will erupt in the range of 1000-3000km3, just like Toba and Yellowstone. And assuming a chamber of 500.000 km3, then I think it´s more than ready to erupt. If 1% erupts, that still gives a 5000km3 eruption! The question is how often does a supervolcano erupts on Earth? During the past 1 million years, there has been 4 VEI8 eruptions (two of each within last 100.000 years). Average of one every 250.000 years. But this rate is not very accurate probably. In the past 6 million years, there has been 10 supervolcano eruptions, giving a more accurate rate of one VEI8 eruption per 600.000 years. 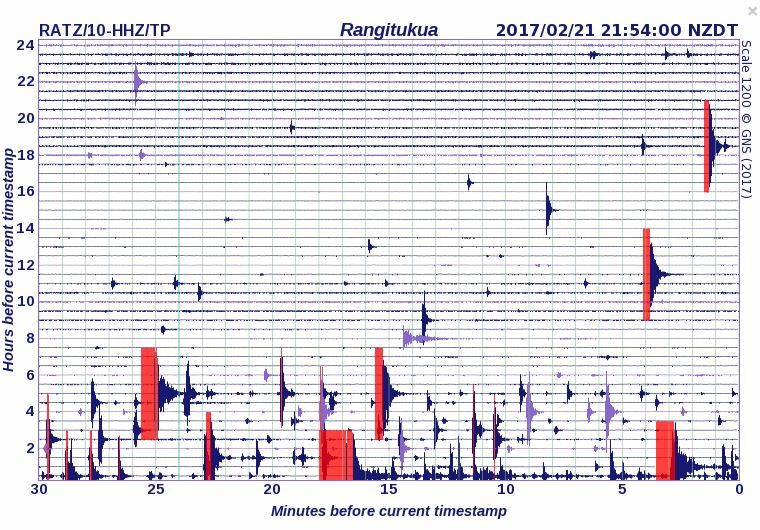 Taupo has erupted 5 times (VEI7+) in the last 500.000 years, giving an average of a large eruption every 100.000 years, which is quite impressive; they have been quite large eruptions, most in the range of 300 km3. And during the past 10.000 years, we count at least 8 VEI7 eruptions across the world. This gives a rate of one VEI7 eruption every ~1000 years. The last was Tambora in 1815, and the largest was Mt Rinjani in 1257 (with probably 250+ km3). So considering that large VEI7 eruptions are indeed very common, we can expect Uturuncu erupting sometime in the next 10.000 years (which at the current inflation rate, would result in a further 150 meter rise). There is always a possibility, that the intrusion stalls and the magma cools afterwards. Socorro seems the next candidate for a VEI7+ eruption in the US. Campi Flegrei is probably the next European big one (and a headache for Italy), most likely in the range VEI4-VEI6. We’ll know what it is when it does(n’t) erupt! I don’t see a major eruption happen at Uturuncu. That is not how it has behaved. But it does show non-explosive eruptions and that it is what I would expect to happen here. By far the largest part of the magma will stay underground. There could be an argument however that many super-eruptions are simply a blowout of a batholith or pluton itself in a region with a shallow crust that can’t hold the pressure of the massive magma region below. But you’re right in insisting that Uturuncu has a strong chance of simply not erupting, or only erupting in a minor fashion. The Bolivian altiplano is quite a hotspot for VEI8 supereruptions. At least a few such eruptions in the past 10-15 Million years. So I wouldn´t say that Uturuncu is so unlikely to go supervolcano. I think it is a prime candidate for it, considering the region history. The question is that we dont understand how supervolcanoes erupt. So such intrusions might go slowly for several hundred thousand years until an eruption happens. If so, Uturuncu might erupt, but we cannot know if it does that, this century or in 2 million years. The other possibility is that only a small percentage of magma erupts, but still as a hefty VEI7. The problem with these assumptions is that it ignores potential inflation at volcanoes that has happened in the past. Supervolcanoes and VEI-7 sized eruptions don’t typically accumulate the amount of magma needed to erupt in said fashion overnight. And as Albert mentioned in response to my earlier comment, it’s not easy to measure past inflation for volcanoes that are not sitting in the water. For example: at Aso, there may have been a ridiculous period of inflation over the past 50,000 years that ended in 1800 B.C. But since we only tend to know the current inflationary trends, we would not know that it could be a potentially primed candidate for another VEI-7 blast. Irpsit – something worth considering in your analysis of large caldera eruption rates is whether there are any flareup periods with regions having large amounts of caldera-forming eruptions to form silicic large igneous provinces. The Taupo Volcanic Zone is probably the best current example of this, and I think that the Kagoshima Graben is a young(ish) example of a developing silicic LIP. I would imagine during periods of active silicic LIPS, the VEI-7+ eruption rate is significantly higher than it would otherwise be. During the time one of the largest known Silicic LIP’s, the Whitsunday Volcanic Province, an estimated 37.5 km^3 was erupted every year. Putting that into perspective, that type of magma flux would be enough to power a VEI-7 eruption every 3 years in that region. There are worse places for slip..
And I don’t think there is a specific relation. Basaltic volcanoes tend to show more inflation prior to an eruption. Earthquakes are on faults, and volcanoes tend to be only loosely tied to faults, and often at some distance. 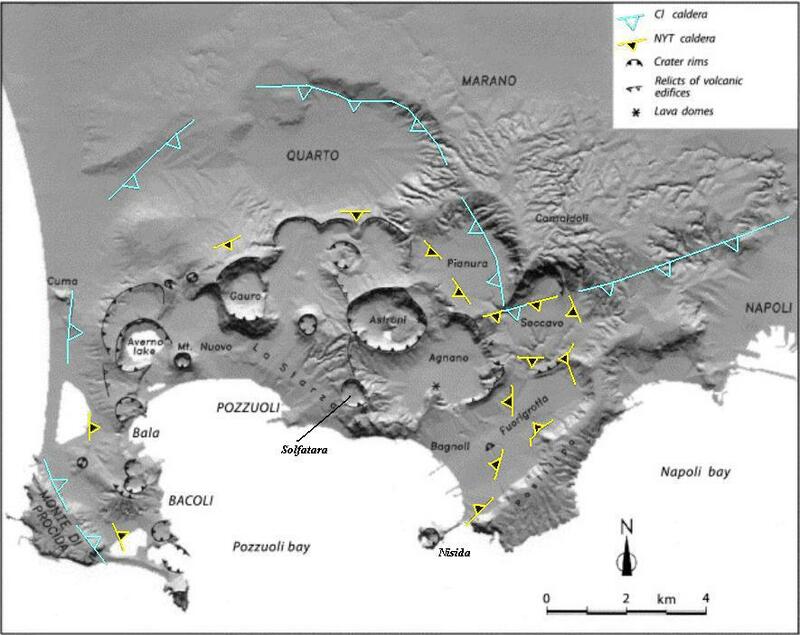 vesuvius is an extension zone. uturuncu is compression, Indonesia is both. All you need is heat. Mauna Loa shows regular slow slip events, but they are not tied to its eruptions. Mauna Loa’s slow slip, is the volcano slumping and sagging. It is the same process that once volcanic stops, will assists in dropping the volcano back down below the waves. In part. As the Hotspot moves further away from the islands (actually, as the pacific plate drags the islands away from the hotspot), the crustal swelling from the heat starts to drop. As the oceanic crust that the islands sit on shrinks back to normal levels, the islands will drop… that is, what is left of them after the mass wasting events that they seem to be quite fond of having. The slumping and sagging includes the sinking as the crust below gives way, and the spreading as the centre can’t hold (a kind of middle-age spread). Mauna Loa is about as big as a volcano can get: the crust can’t carry any more. Which is why Mauna Loa and Mauna Kea are almost exactly the same height. Correcting for the lower gravity, Olympus Mons on Mars is also this height (or rather, the same pressure at the bottom). please note sometimes it’s difficult to follow discussion because the order is not sequential. Sometimes disscussions are too specialized. Sometimes it lacks of bibliography. At the opposite we have no idea if it’s peer reviewed article or newspaper. In french: “qui aime bien chatie bien”. I can’t help the order of the comments..people ask/contribute what they want! As for the posts, we don’t use newspapers (but newspapers do use us as their source). I tend to use scientific papers or presentations, where I have some confidence it is authorative. The various volcano observatories, or organisations such as GNS in New Zealand, are excellent. Is it my imagination but are the earthquakes around Godabunga beginning to get slightly deeper? Not really. Godabunga had much deeper quakes in the past. The whole system actually goes quite towards S/SW with depth. A quick one, with simple (excel automatic) trend line. Here is one with centred repose time labels. Forgot that before. So I guess you’re saying that they current trend line for repose is 45 years and we’re now overdue at 100 years? and a VEI5 wouldn’t be unusual? My point was to show that there is pretty much no significant correlation between repose time and the intensity of the eruption. And Katla isnt overdue, because volcanoes are never overdue, because they can change their patterns on a irregular basis. Tho I do agree that a new low VEI5 would be in the normal max range, especially if from the E/NE part where there wasnt an eruption in a while. Tho for all the “Katlatubo” fans out there I am sorry to say that the probability for the next eruption to be a Vedde ash.2, is pretty much 0.000000001%. At least thats what the data shows at the present time. There is indeed not much pattern. Some of the older eruptions have somewhat uncertain dates, and of course any eruptions not breaking through the ice will have been missed. That is probably why there is nothing recorded below VEI3. The average quiet time before a VEI 5 is 31 year, for a VEI4 39 year, and for a VEI3 it is 35 year. But there are too few measurements and the differences do not seem significant. Before the Elgja eruption, Katla was twice as active, erupting four times per century. Since Eldgja it has been twice per century. It is still recovering from that draining eruption. Katla shows no correlation with repose period. But usually erupts within every 50-60 years, only once it has a repose of 100+ years but that followed Edlgjá, which was a massive eruption (20km3), a VEI6 if all lava flood would have been measured as DRE. Since Holocene, Katla erupted very frequently, with many “regular” (probably a few times a century) VEI4-5 eruptions. It had two lava floods, one was Edlgjá, and another one in mid Holocene. Earlier, in the very end of the Pleistocene, there was the only known explosive VEI6 eruption, the Vedde Ash, which might have been very large (20km3). But records from Greenland show other Pleistocene very large ash eruptions. Its not unreasonable to think that such violent eruption might have happened due to a lava flood contacting a period where the dead zone was glaciated. I think Katla erupts usually quite strongly (VEI4-5), because of its shallow but flexible magma chamber and a strong pressure from the ice cap, which keeps the pressure until that threshold. Probably melting of the ice cap continues from some time until increased hydrothermal activity eventually triggers the eruption. Also relatively unknown is that Katla actually had in Holocene a couple of small lava eruptions outside of the caldera, namely to the northwest (and possibly south of the caldera in late Pleistocene). The lava fields are still visible in these two areas, though much smaller than Edlgjá. And Hekla is unlike Katla. Hekla intensity correlates pretty well with repose time. So you are saying that katla is mechanically, essentially a light gas gun. 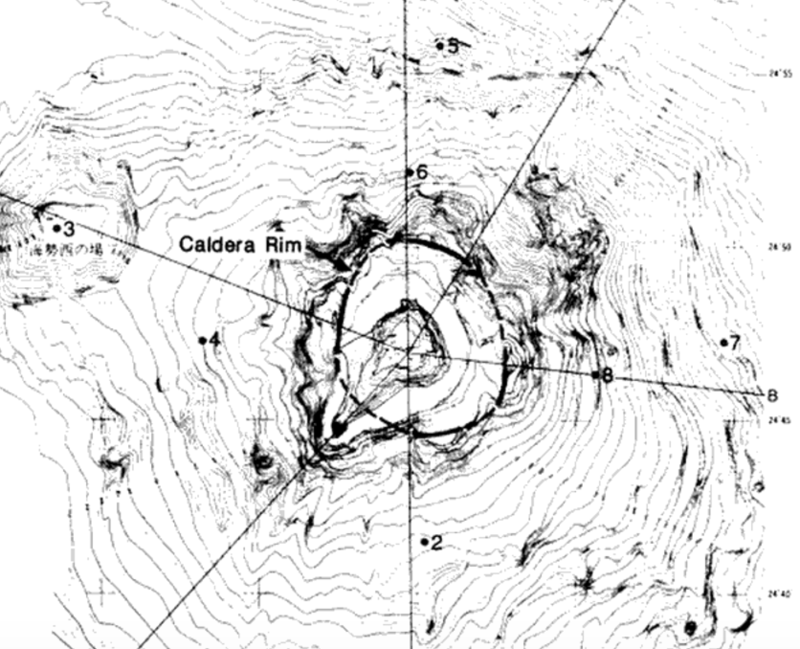 Once the failure pressure of the burster disk (caldera floor) is exceeded, it’s game on? Note: This mental model breaks down since a “light gas” gun requires a low molecular weight gas to provide the stupendous acceleration once the disk bursts. I still think this is our most likely next supervolcanic eruption. No, I haven’t collected any data… though I did sort of try a couple of years ago, but for a different reason. It’s actually something that we as a group could work on. At the time I was fiddling around with it, I generalized the caldera area as that of an ellipse. Measuring the long and narrow axis provided a workable number that could be used to cobble the list together. To do it properly, we would need citation of any scientific papers published that give ejecta estimates. That would allow us to ballpark a volumetric estimate for the events. For anyone good at digging up references… Ward et al has a pretty decent list of largish volcanic events throughout history, though I can’t remember the name of the paper. It would be a good starting point. His paper covers everything from the opening of the Atlantic to actual independent LIP events. Some time back, I saw a SAR image of Uturuncu and noticed that the maximum uplift was off to one side of he edifice. That meshes well with the ginormous pluton emplacement recent work has stumbled on. (as noted earlier, “failed volcanic eruption” or “successful pluton emplacement” is a matter of opinion.) It will take a few million years to know which term is most accurate. … and yes, I am aware that the VEI scale leaves a lot to be desired. Many people are aware of that. A volcano that jets out lots of tephra in one semi continuous episode (say, once every other day) would in later analysis years later, likely be seen and written about as a single event. Most of the tephra would have similar if not identical geochemistry and probably be indistinguishable. Yet none of the eruptions would have singly made such a large volume of tephra. Similarly, how do you categorize a mostly effusive low energy eruption? The problem term is “explosivity.” If nothing actually explodes, where does it get placed in the grand scheme of things? So, yes, the VEI scale is handy, but it does have problems. I recall reading years ago somebody (might have been in the intro to the 1993 edition of ‘Volcanoes Of The World’) making a pretty similar point about the deficiencies of VEI – pointing out that in terms of volume of ejecta, Paricutin should have been a VEI5 like St Helens. But because that material was erupted in an eruption lasting nine years -rather than St Helens nine hours(!) it was downgraded to VEI4. Back then such a rule-of-thumb approach to the scale seemed to be accepted. You could apply this to Katla too. Its eruptions are relatively small in volume (mostly) but very energetic. Maybe Irpsit knows: How old is the glacier on Katla? Where there periods when it wasn’t there? Katla eruptions are probably similar to Grimsvotn 2011 eruption. But they last usually around 1 month. So I guess that such intensity is reached in the first day, as magma breaks the ice cap, and then the eruption stays at a Eyjafjallajokull level of intensity. Probably there is also ocasional peaks of intensity during that month. Katla is less than 1 Million old, when the volcanic zone from the dead zone towards Katla was formed. So it´s a relatively young volcanic zone. This zone is younger than all the volcanoes from Reykjanes to Langjokull, Hofsjokull and from Bardarbunga to Krafla. And in the region Hekla and the Westman Islands are the youngest volcanoes. So probably the ice cap formed in the Pleistocene as glaciation started some 1 Million years old. There was a time, probably around 3000 BC, when ice extent in Iceland was lowest, in one Icelandic report the scientists even suggest Iceland might have been ice free by then. If so, Katla was ice-free just like Torfajokull is nowadays. That would result in efusive eruptions, and probably a very different mode of eruption. Exactly. But what I was thinking of was Sakurajimas almost clock-work like explosions back before it quieted down. The prevailing normal winds would cause any accumulation to be pretty cleanly stacked, and if examined a thousand years from now, may seem to have been from a single event. Dispersion with other material accumulation rates might leave a signal that it was not a single event, but that would require intimate knowledge about how deposition rates of all the accumulated materials changed over time. I don’t have a source, but I think I read somewhere that Sakurajima’s vulcanian eruptions that have occurred regularly over the last 90 or so years have actually added up to a fairly measly output. I’m not sure the exact volume that was estimated, but I believe the equivalent would be similar to that of a small VEI-3 range in terms of output. 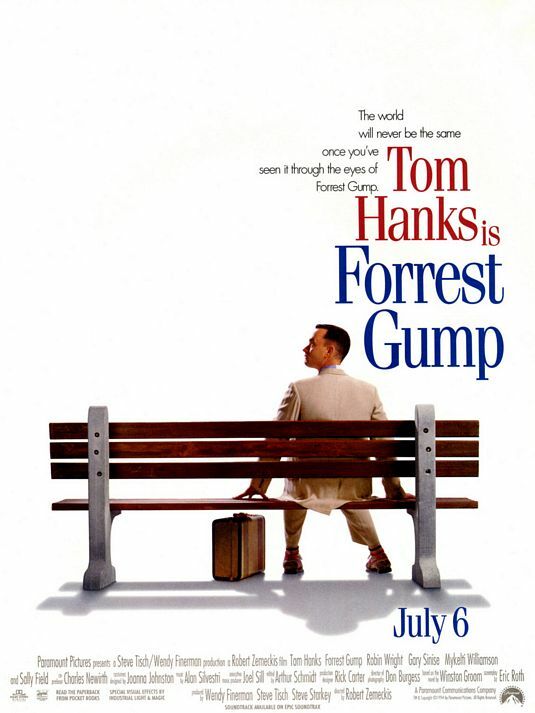 If you are still interested: I have made all the movie references in the post active links, so you can see whether you got them all. If I missed any myself, than that movie reference was not intentional and an accident of language. That one is at the end. But not the last one. Something else to consider in relation to volcanic uplift & identifying potential future large caldera sources. Crustal extension / thinning and assimilation may hide magma accumulation in a given region. For example: the Taupo Volcanic Zone largely sits in a region of sinking land, yet it’s home to the most active volcanic region on the planet. 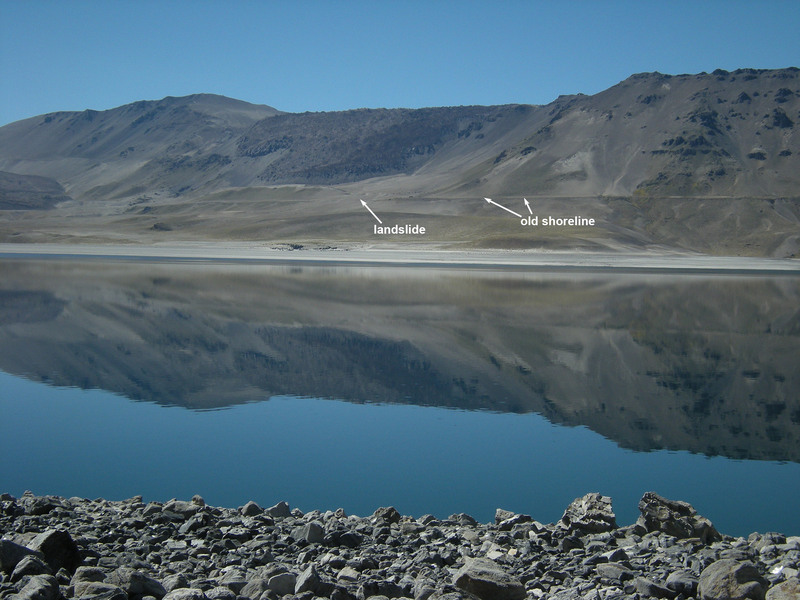 Given, there is some more localized uplift found there, but we don’t know how much localized uplift would be seen at one of the supervolcanic regions prior to a large eruption. There may not be uplift there comparable to what we’re seeing at Uturuncu. 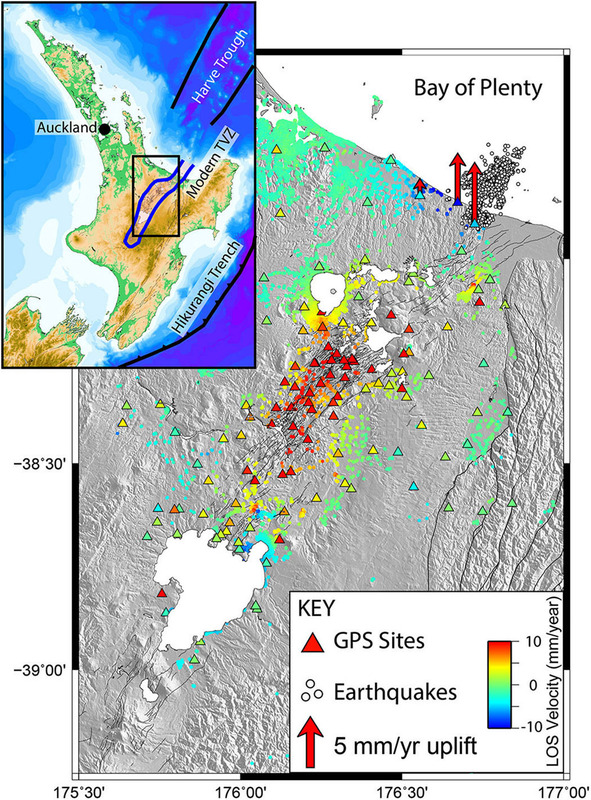 This is especially true since much of the eruptive output of the Taupo Volcanic Zone comes from melted bedrock (greywacke), which is already there, and won’t account for volumetric increases. A hot spot should always be associated with uplift, probably quite a lot. But it may happen so slowly that you only see the final result! Crustal extension can indeed hide a lot. Ya, also, for those regions that are not related to hot spot volcanism, this obviously wouldn’t apply quite as much. Taupo for instance is not a hot-spot driven volcanic system. In a topographic study of the mantle of Earth, one can see that a very large plume of magma rises (at around 1000km deep) over the southwest Pacific and feeds many volcanic regions there, like Vanuatu and New Zealand. Another similar large plume rises over south Africa and feeds much of the rift volcanism there. This is the great context, the big picture. This is the Nature paper. Enjoy. Its such a good read. Here is the Nature paper. Enjoy. Its such a good paper! A quick test video, testing music background, drawing on screen, and also testing 1080p50 HD format. Very informative shown and exciting music! As promised, here is the video of earthquakes at Taupo area and New Zealand in 3D. Notice how steep the angle of subduction here is. That likely plays a big role in why Taupo is as active as it has been. Steep subduction results in more aggressive back-arc spreading, often in close proximity to the location of the melt generation too. The rifting and spreading here is the real catalyst behind the Taupo Volcanic Zone’s spot as the most prolific volcanic region in the world. Dehydration melt occurs around 110 km depth. I wonder if Ringwoodite undergoes a similar phenomena at a deeper depth. Taal also has an extreme angled subduction area underneath it.